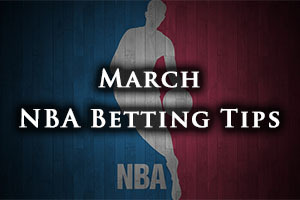 We are now into March and there is no let-up in the NBA action today but we have a few games from Saturday, the 28th of February to round up, before we move on to worry about what today has to offer. The Wizards got back to winning ways, defeating the Pistons in Washington by a score of 99-95 while the Knicks had a brilliant home win, defeating the Raptors by a score of 103-98. The Nets grabbed an excellent away win, defeating the Mavericks by a score of 94-104 and the Spurs were dominant in their 74-101 win in Phoenix. The Heat slipped to a home defeat with the Hawks triumphing 91-93 and the Timberwolves also fell down at home, the Grizzlies grabbing a 97-101 win. The Jazz were winners in a low-scoring win, defeating the Bucks 82-75. While the Hornets have been boosted by the capture of Mo Williams, they aren’t quite rolling over teams in the way that they would like to. In fact, it has been a tough time for the team from Charlotte who will be looking to grab just their second win in 8 games against the Magic on Sunday night. Williams is averaging 23.5 points per game since he traded in from Minnesota in February, but his new team-mates will have to offer a lot more if the Hornets are going to improve their chances for the play-offs. The Hornets hold a 23-33 record and this includes a road record of 10-17. They come into this game on the back of a defeat and they hold a 4-6 record in their last 10 games. The Magic also hold a 4-6 record in their last 10 games, and they have lost their 2 most recent games. The Magic holds a 19-41 record for the season and have won more games away from home than they have at home, with their home record standing at 9-19. When it comes to average points scored, the Magic hold the advantage, 95.6 to 94.3 while the Hornets have the edge for average points allowed 97.0 to 101.1. The Hornets lost in Boston on Friday night, dropping to a 106-98 loss against the Celtics while also on Friday, Orlando lost in Atlanta with the Hawks winning by 95-88. Bismark Biyombo is expected to be absent for the Hornets while the Magics are closely monitoring Aaron Gordon and Evan Fournier. This game could go either way but taking the Hornets with a -1.5 handicap, at odds of 1.90, is likely to be a sound bet for Sunday. Bet Now! The Celtics have finally woken up this season but their new found run of form will be sorely tested on Sunday as they come up against the best team in the league. Ever since the Celtics brought in Jonas Jerebko and Isaiah Thomas, they have been notching the wins with Thomas grabbing a team high of 28 points on Friday night in the 106-98 win against the Hornets. Jerebko was on form as well with a double-double of 16 points and 10 rebounds. The Warriors hold a 45-11 record which includes a 21-9 record away from home. They won their most recent game and they currently hold a 7-3 record in their last 10 games. The Celtics also boast a 7-3 record in their last 10 games and come into this game with a three game winning streak behind them. The Celtics have a 23-33 record at this stage of the season and this includes a 14-15 record in Boston. The Warriors, unsurprisingly, have an advantage for average points scored and average points allowed. For average points scored, the Warriors lead 110.2 to 101.6 and for average points allowed, the Warriors lead 99.8 to 102.6. The Warriors defeated the Raptors in Toronto on Friday night, easing past their opponents with an 89-113 result. Festus Ezeli may be a doubt for the Warriors while the Celtics could well be without Jared Sullinger and Kelly Olynyk. While the Celtics are on a good run, the Warriors should be looking to dispatch them with style, and taking the Golden State Warriors at -8.5, at odds of 1.90, should be a good bet for Sunday. Bet Now! The Pacers still have a chance of making it through to the play-offs because there are so many teams fighting in this Eastern Conference. There will be a need for the Pacers to take care of their “easier” opponents though, and the game against the 76ers is a perfect example of this. With four out of their next five games coming up against less fancied opposition, this is a genuine chance for the Pacers to place themselves into contention for play-off action. The 76ers have a 13-45 record so far this campaign, with just 5 wins on the road, in a 5-25 record away from Philadelphia. The 76ers won their last game, defeating the Wizards on Friday night by a score of 89-81, and they hold a 3-7 record in their last 10 outings. The Pacers hold a 23-34 record this season, which includes a 13-14 record at home. The Indiana side also won their most recent game, defeating the Cavaliers on Friday night by a score of 93-86 and the Pacers hold a 7-3 record in their 10 most recent games. The Pacers hold a clear advantage for average points scored and average points allowed. For average points scored, they have a 96.0 record compared to 90.3 and for average points allowed, it is 97.1 to 100.7. The Pacers are monitoring Jason Richardson and Jerami Grant while Paul George is likely to be absent for the 76ers. This is a game that the Pacers need to win, and they will want to win well, so you can expect them to push hard for a big win. Taking the Pacers with a -11.5 handicap, at odds of 1.90, is a sound bet to add to your Sunday basketball betting portfolio. Bet Now!